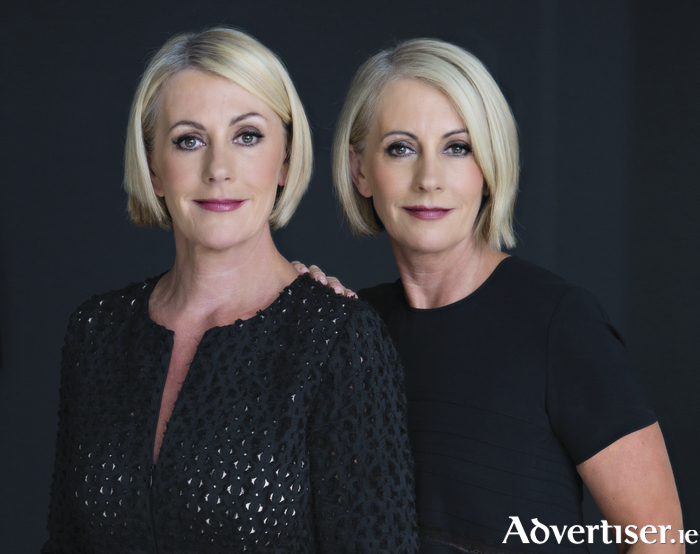 Advertiser.ie - We were out walking one Christmas and thought why don't we do something together in business! September marks a special anniversary in the lives of Mary McSweeney and Margaret Gallagher. The twins will be celebrating the 20th anniversary of the aptly named Les Jumelles ladies' boutique in Galway city. "A lot of hard work," says Mary, reminiscing about the past two decades. "Plenty of ups and the downs but mostly ups. It has been challenging but very worthwhile and fulfilling." "It feels like yesterday when we opened," nods Margaret in agreement. "The 20 years have flown past. A good 20 years, a hard 20 years, but we are surviving and thriving. We are still enjoying what we do in Les Jumelles and we are still very passionate about what we do." Hailing from the small town of Bandon in west Cork, the pair are unusual for twins that they have different birthdays and even quirkier, were born in different places. "It is definitely unique all right," laughs Margaret. "Mary was born in Bandon on December 1 and I was born in Cork city after midnight. They must have believed there was only one. But mum always enjoyed telling people about that when we were growing up. The closeness between the two and a love of all things beauty and fashion meant the decision to go into business together and open a ladies' boutique was an easy one for Mary and Margaret. "All of our family were in business so it is in the blood, and it was a way of bringing the two of us together to do something that we love doing," explains Mary. "We both lived in the States and we moved back to Ireland, myself to Galway and Margaret to Dublin because our husband's companies had relocated to those cities respectively. "I was in the beauty sector and Margaret was working the fashion industry and we were out walking one Christmas and thought why don't we do something together in business and that is how the idea of Les Jumelles was born." Two decades on from the grand opening of Les Jumelles back in September 1997, Mary and Margaret express a love for what they do and a commitment to quality is why the business still stands proudly on the idyllic Church Lane of the city. "Mary, myself, and Les Jumelles are still here because we have passion for what we do, it is very enjoyable," says Margaret. "We think the fact that 20 years down the road where we have gained a lot of experience in business but still we are always researching, keeping up with the latest trends, going to fashion weeks over in London, Paris, Milan, New York, is our testament to our commitment of trying to source the best quality of clothes and accessories for our customers. Mary agrees. "We like being different. Les Jumelles is a destination shop. You might have to spend that little bit extra but at the end of the day, we stand by the quality of product that we are selling. We believe our quality stands alone." So after 20 years in business what plans do Mary and Margaret have in mind for the future? "We want to keep on going. We feel like we are reborn again and we have a real feeling the retail sector is slowly turning the corner," says Margaret. "There are a lot of exciting brands that we would love to be able to stock in Les Jumelles. We want to make our shop more exciting with amazing new collections but doing it slowly and shrewdly"
Mary adds, "We want to keep our shop edgy, exciting, and interesting. One of the go to shops in Ireland and even Europe."